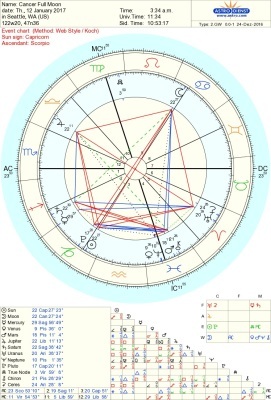 The first full moon in Cancer brings about some very intersting and somewhat challenging aspects, forming a Grand Cardinal Cross in Pisces, Capricorn, Libra and Aries with Chiron, Pluto, Jupiter and Uranus there's some huge shifting going on. 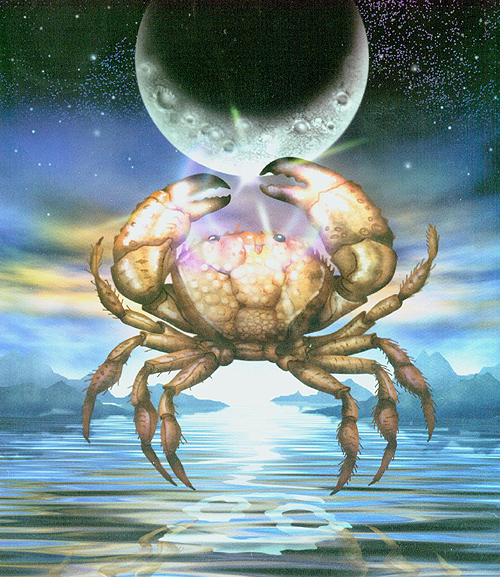 Cancer the crab represents our emotions, the moon is at home here however the Cardinal Cross plays a big part in what we feel and what we experience. This Live healing ancestral and family wounds is a step towards the shifting energy of 2016 to 2017 and the upcoming new moon in Aquarius. Much of the belief system (Pluto in Capricorn) is created from our ancestral lineages and family experiences, that can go back thousands of generations. Jupiter in Libra asks for expansion and Uranus in Aries askes for freedom, finally Chiron in Pisces asks for the wounds to be healed. This online live meditation is to explore where we might be holding imprints that can be holding us back, allowing us to dissolve; release and free ourselves to move on from these wounds and even the people that have caused them. If you are ready for expansion make this a date in the diary you don't forget. Time: 7:00pm to 8:30pm Sydney Time - Use time convertor for your local time zone. Darshna has worked for many years with people 1-to-1, groups and even corporates. Her use of channeling energy working intuitively and, tapping into the source allows people to feel safe to release and free themselves should they choose to do so. Darshna has worked with yoga, meditation, shamanic healing and medicine drum to hold sacred space.